LOOK away now Labour supporters.. it was a night that anybody with even the slightest affection for the party will want to erase from their memory. With the elections coming up, I’ve been thinking about polls past in Camden. 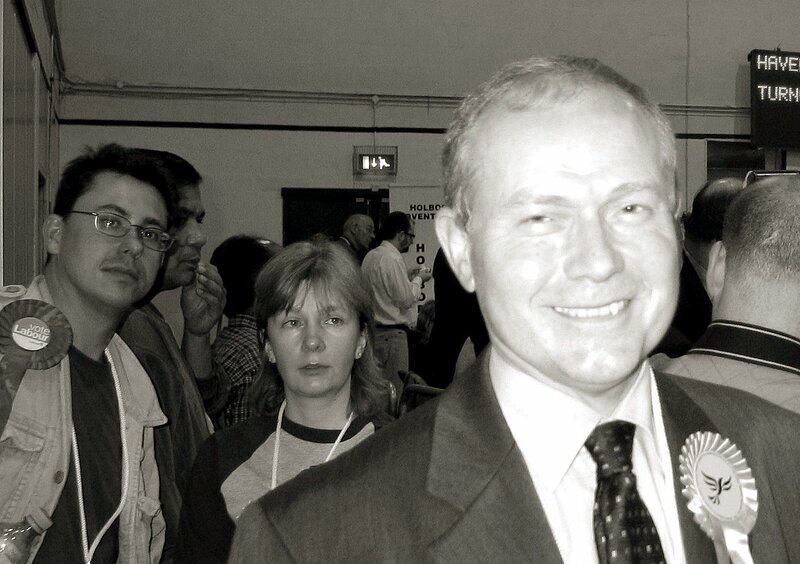 Here’s a few snaps I took myself at the historic council election count at the Somers Town sports hall in May 2006. In the drama of the late night count, Labour lost control of Camden and the Lib Dems and Tories later formed a pact to run things together. The photos make you wonder if the councillors, clearly high on adrenaline, will miss staying up all night for the results. They will almost certainly be deprived of that buzz if the local elections and general elections are held on the same day. 1. Andrew Mennear bites his lips, alongside Brian Coleman. 2. 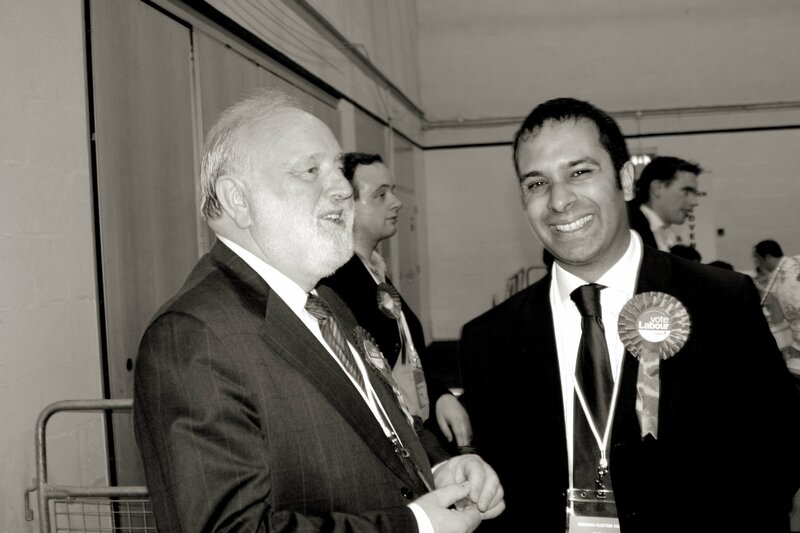 Former council leader Raj Chada tries to maintain a brave face. 3. 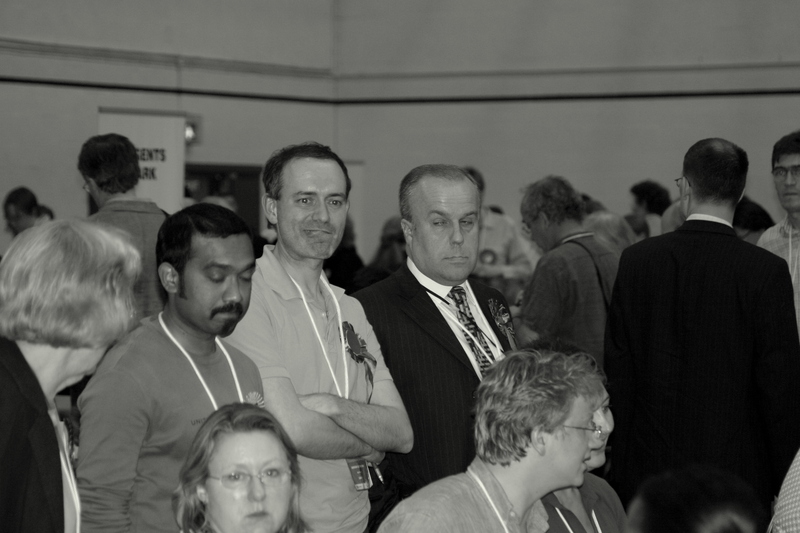 Phil Turner waits nervously for results. 4. Keith Moffitt celebrates while disappointed Labour members Mike Katz and Lucy Anderson look on. All I can remember feeling by that stage in the evening was being absolutely knackered (which comes across from my pic, I think)! 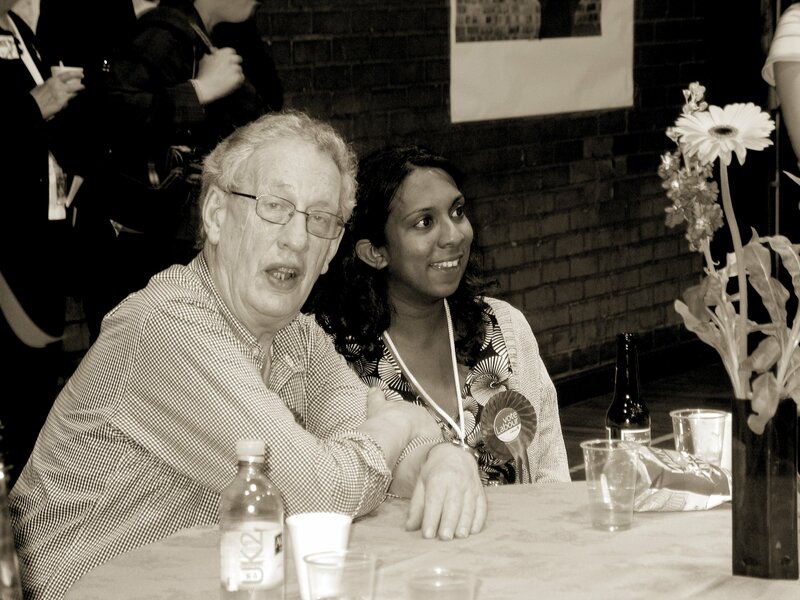 Although the night was very disappointing for us, I did take a crumb or two of personal comfort from running the campaign in Haverstock where we retained our two seats. At the time the local Lib Dems were certain they’d take all three, and were fairly disappointed themselves on the night. Of course, the fascinating thing about politics is that it never stands still, as close observers of Haverstock ward will know. Still, we’ve got a very dedicated team of local campaigners working hard there now, highlighting what a letdown the Libs have been in power, so I’m quietly confident there’ll be more disappointment for local Lib Dems in the ward come polling day in May.